Feel the summer heat? Need a break from the daily hustle? Everybody knows how difficult it is to dodge these scorching summers, but we have something that might cheer you up. 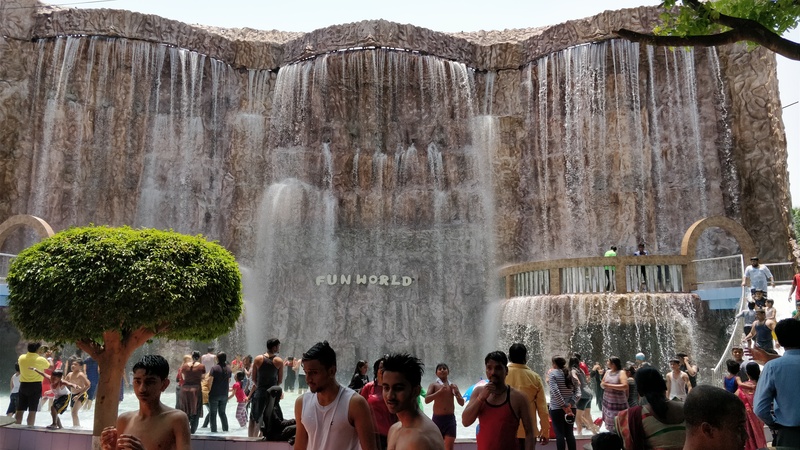 Fun World at JC Nagar is offering oh-so-awesome offers starting from just INR 750 and we can’t find a better way to kick the heat. It includes rides like Cliffhanger, UFO, Surf Ride, Crazy Fireball, Mono Cycle Rail and so many other rides. Click here to buy this awesome offer of Entry Ticket to Fun World at INR 750! And enjoy a fun-filled day with your loved ones!Get 25% cashback on your first nearbuy transaction. Beat the summer heat by taking a cool splash into the water rides at the Water World! Feel the adrenaline rush with the bumpy water rides for INR 900! Dip into the cool water and enjoy rides like the Boomerang, Cyclone, Maze Runner’s Ride, Devil’s Drop and more only at the Water World. Nothing could seem more fun than this! So head out now to take a chill pill! Click here to buy this offer of Entry to Water World at just INR 900 and spend a happy-go-lucky day like no other! Get 25% cash back on your first nearbuy transaction. Rush now as this offer is valid only till 31st May, 2018! Do not miss this chance of having unimaginable fun! Looking for more such offers? Click here to scroll through more offers on nearbuy.com! Mumbai! Promise Yourself A Vibrant Holi At Essel World For Just INR 788!! What's Up Gurgaon! Slide Into Some Fun With Kartomania For Just INR 540!! Mumbai! Celebrate This Holi At Imagica - India's Best Themed Entertainment Destination Starting At INR 1,901!! Attention! Give Your Child The Gift Of Joy At Various Outlets Of Funky Monkey Play Centre!! Attention! Don't Miss The Last Day To Grab Additional 25% Cashback On Smaaash!! Mumbai! Smaaash Is Creating History With Games Under INR 10 & You Must Be There! Previous Post Gurgaon! Basil & Bay Salon and Academy Is Offering Services For Just Re. 1 & We Are Going Bananas Over It!! Next Post Soar Up High & Splash Deep Down With Adrenaline Pumped Rides Only At Wonderla Starting at just INR 1200! This Is How We Take A Chill Pill! !